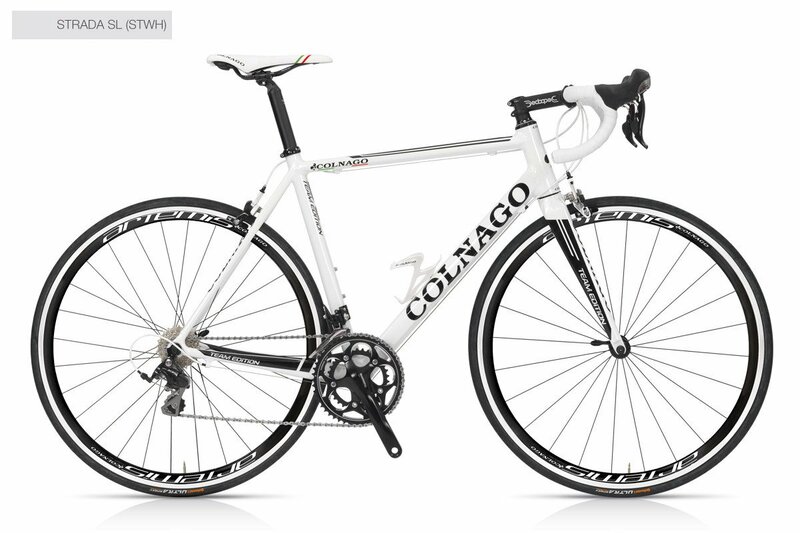 An aluminum frame with advanced technical characteristics, the Strada SL has been designed to provide enthusiasts an outstanding entry-level introduction to the world of road racing, without sacrificing qualities considered essential by Colnago. The tubes of the Strada’s front triangle are made via hydroforming. They all have a specific design, and the tubes are oversized and polygonal in section. The seat tube has a round shape at the top, which becomes rectangular at the bottom bracket to provide greater stiffness. Also, the top tube is formed so that it is flat at the head tube and becomes gradually conical at the seat tube. In summary, this offers the best vertical shock absorption and greater torsional stiffness. Other features that make the Strada SL so appealing include the 1 1/4” – 1 1/8” tapered C -HS1 headset, the alloy steerer/carbon blade fork, and external cable routing – both for the brakes and the two derailleurs. The Strada SL is available as a frameset, or a complete bike, in eight sloping sizes: 42s, 45s, 48s, 50s, 52s, 54s, 56s, and 58s. Some products may take up to 4-8 weeks for delivery. 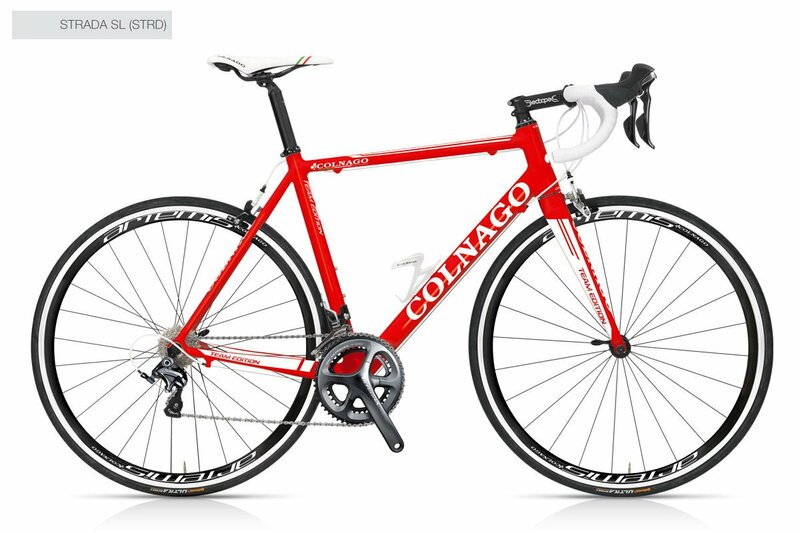 Please call us on (310) 376 3010 or email us at sales@theoldbikeshop.com to check availability.